Hey gang! Just wanted to chime in with a little 'proof is in the pudding' moment for everyone that pledged towards Our Big Year 2012! Below are clippings from recent Houston Audubon and Katy Prairie newsletters showing us (or at least Blake) delivering the goods to the causes. Thanks again to everyone that pledged! We had a blast... and hope someday to give it another go on a grander scale without day job limitations. Until then, we'll see you on the trails! E-mails sent! Still time to pledge! Hello everyone! We have sent out the e-mails to our pledgers with totals and instructions on how to get us the money for HAS and KPC. Again, thank you very much for being a part of Our Big Year. We raised a little money for a pair of good causes and had a great time doing it. Since Holly and I are still relatively new to birding, this was a year we won't soon forget. Well over half of all of the birds we photographed were lifers. That may have been one of the greatest things about this exercise. Every trip, whether to Minnesota, California or just down the street to the park, was met with equal parts anticipation and excitement. A friend asked recently to explain birding to him. Without getting into the science of it, I came up with this... It's a treasure hunt, and the treasure moves... and while 'X' may mark the spot at times, you never really know what your in for. Another way we started to look at it was this... "You never know, unless you go!" That got me thinking about the trips we made and birds that we only encountered once during our year. 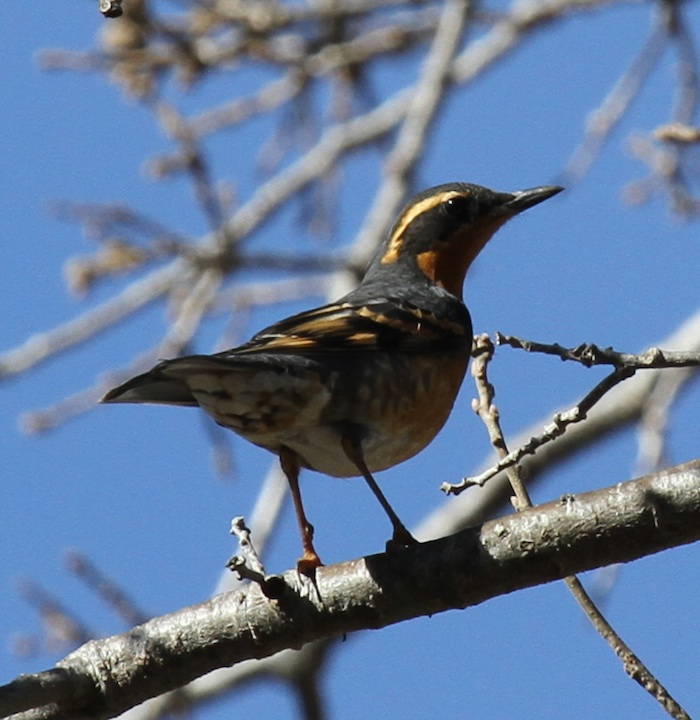 If we hadn't taken a break from a trade show near Los Angeles and drove up towards Santa Barbara, we wouldn't have seen Varied Thrush. If we didn't make the side trip to Sacramento after a conference in San Francisco, there would be no Red-breasted Sapsucker or Yellow-billed Magpie on our flickr stream. 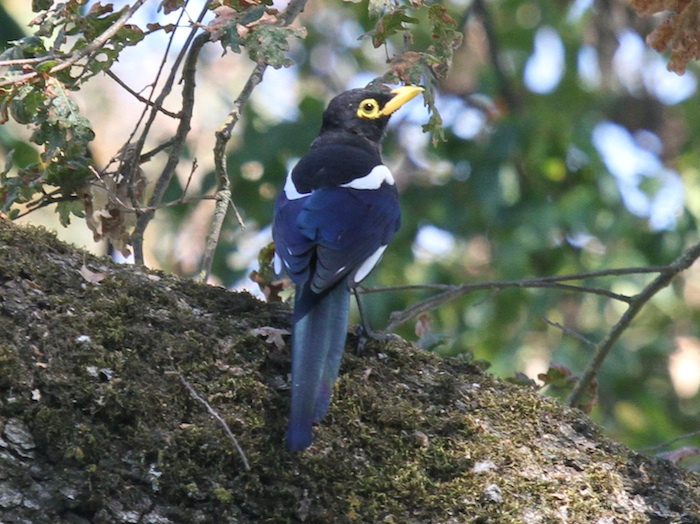 A pair of West Coasters: Varied Thrush (top) and Yellow-billed Magpie (bottom). We missed a lot of birds. Birds we should have ticked off our sheet with ease. Part of that was timing. Part was having limited time away from our day jobs. Part was likely our still maturing ID skills. I'd wager we have at least three additional birds in the volumes of file folders on our external hard drive where we just didn't know what we had. But that is part of the process... 2012 made us better birders. This year will too. Our pledge this year is to step back from the camera lens and enjoy the birds. Doing more birding with just bins... and sometimes without bins. We want to take in the total experience, without worrying about poor lighting. This year wasn't perfect. The second half was plagued by events that repeatedly derailed our momentum. Holly's father suffered a heart attack, which kept us off the trails for an extended period (He's doing much better now!). Holly herself had to have her gall bladder removed. (She's better too!) It was my turn at Christmas, getting a stubborn case of the 'crud'. That one really hurt the Big Year the most, as we were planning to head to New Mexico and a chance to add a dozen or so birds... one, final push towards 450. The best thing about this year? Our new friends. We met some extraordinary folks in 2012. That really started in February when we were at the Sax-Zim Bog Birding Festival and ran into a bevy of other Big Year birders! FROM L to R: John Hargrove, Eric and Clare Malbone, Holly and Blake Wright, Eddie and Liam Ehrman. 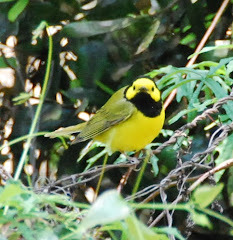 The trend continued with tremendous support from some expert birders here in Houston. You guys know who you are. Thank you for everything you did to help our little project. It really did prove invaluable. A few have asked if it is too late to pledge. Well, no! A bit of the fun has gone out of it because you know the total, but it is not too late. We are collecting pledges this month with plans to deliver the funds to HAS and KPC in early February. You can e-mail us using the 'Make A Pledge' link at the top, left of the page. Flat donations are acceptable as well. Thanks again, one and all, for coming along for the ride this year. We'll do it again... for real. And soon! Well, that's a wrap! Our photographic Big Year has come to an end... but not exactly the way we'd hoped. The combination of the holidays, family commitments and illness kept us off the trails for the majority of the last two weeks - a period we had originally planned to be very active, including at least one out-of-state trip. Alas, it was not to be. We did make a quick jaunt to Austin to see the Fork-tailed Flycatcher, but we appear to have been about two days too late as the bird was AWOL and isn't being seen any longer. We will spend this month in collection mode, bringing in the pledge funds and then getting the money to the Houston Audubon and Katy Prairie Conservancy. Big thanks to everyone that pledged. It has been a great year! A quick pitstop into Russ Pittman before work this morning was rewarded with great looks at the Calliope and Broad-billed hummingbirds that have been there for the past few days! Both birds took to perching just above and behind the group of shrimp plants in the center of the park. Not only did we get the Calliope, we also got the honor of putting a fellow birder on their lifer Broad-billed. A good day! Our last day in the LRGV was brief. We gave two hours of the morning to attempting the LTDU again... with no luck. We did find the Surf Scoter on the east side of Donna Reservoir, but could never ID the duck. We left the Valley around 10am and, of course, saw a report from around noon that the LTDU was there and folks were getting good scope views... (sigh). 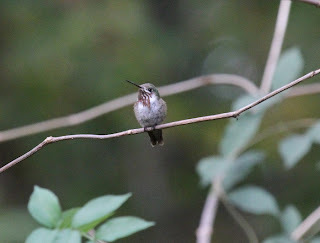 We beelined back to Houston to give the rest of our light (about an hour) to the search for the Calliope Hummingbird seen at Russ Pittman Park in Belliare. Some birders already in the park had the bird about a half-hour before our arrival, but it didn't turn up for us as the sun went down. We didn't get skunked today, however... I finally took a photo of a Common Grackle. About time, don't you think? 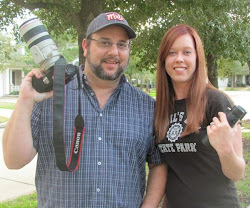 Blake & Holly Wright are setting out in 2012 to photograph as many different bird species in the US Lower 48 as they can... all for a good cause. We will donate $2 per different bird species photographed to be split between the Houston Audubon Society and the Katy Prairie Conservancy. Won't you help us help these two wonderful organizations? Pledge as little a $0.05 per bird... or as much as you like. We'll keep count here as well as via our official Flickr stream. This will not be a hard-core ABA Big Year. There will be no trips to Alaska. Just a couple who enjoy the hobby trying to raise a little money for bird conservation. Personally, we'd be tickled with 400 species by year-end. Again, all funds will be split 50/50 between HAS and KPC. Funds will be collected January 2013. Good birding!